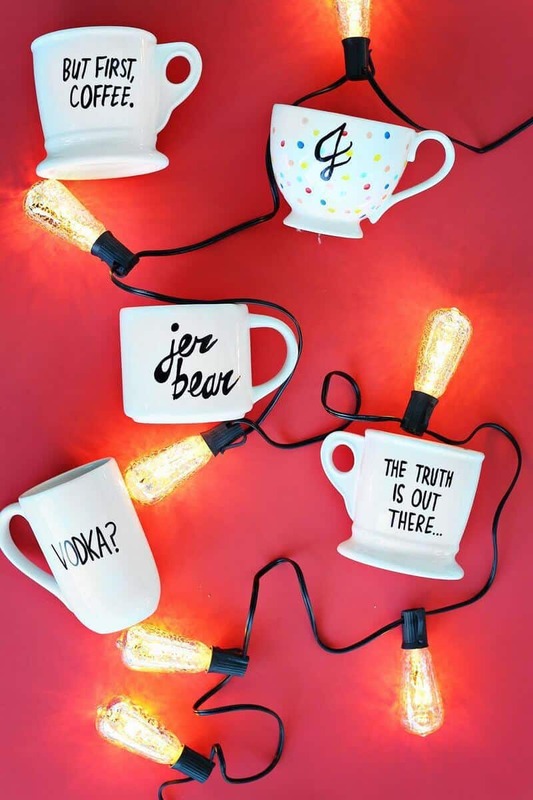 Are any of you last minute gift makers? 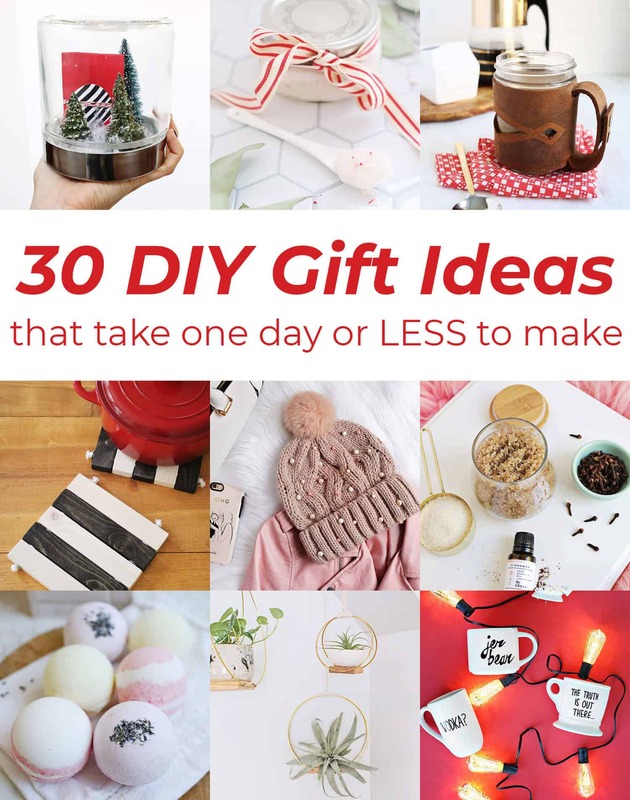 It’s OK if you’re raising your hand right now because we’ve put together a list of awesome DIY gift ideas that take 24 hours or less to complete (many of them a lot less). So if you’ve got a few folks left on your to-get-gifts-for list, here are a few ideas of things you could make them for the holidays this year. 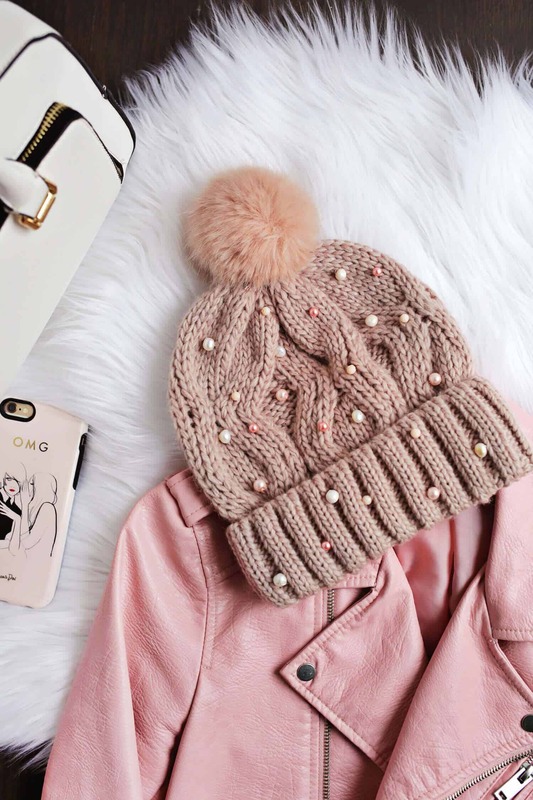 Add a little sparkle to a winter hat with this Beaded Beanie DIY. 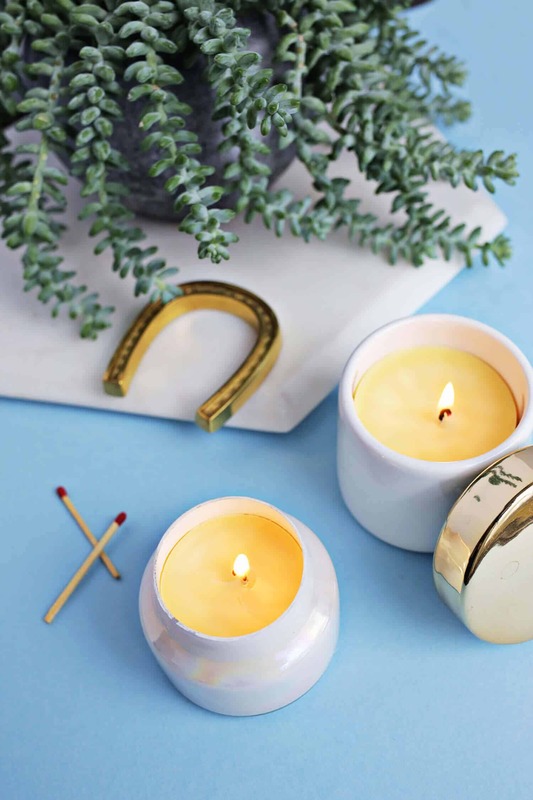 For those loved ones who seem to have everything, might I recommend making them a few homemade beeswax candles? 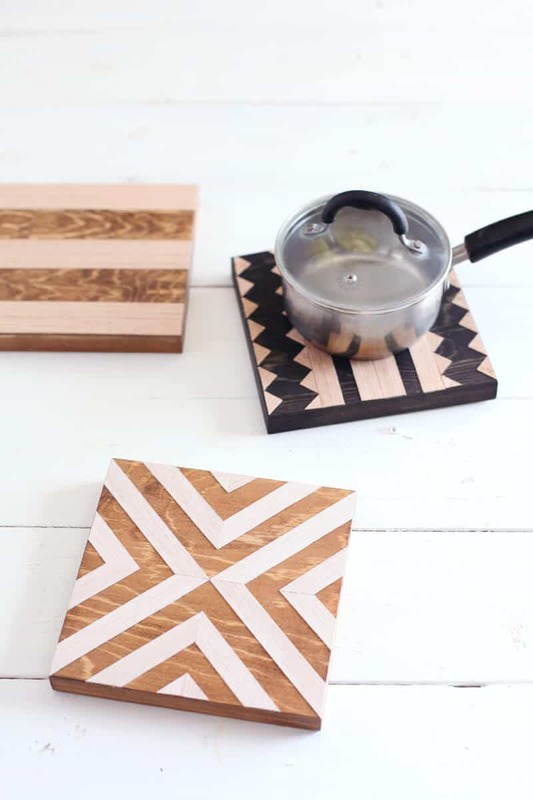 For anyone on your list that loves to cook you could make them a DIY Geometric Wood Trivet set. I personally never feel like I have enough trivets (so maybe make me some while you’re at it?). 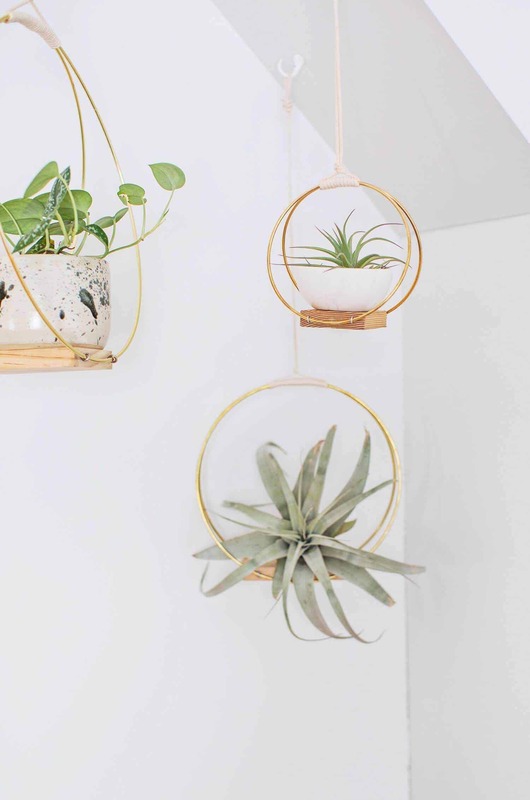 For all your favorite plant ladies (or plant men), why not make them a set of DIY Brass Ring Hanging Planters? 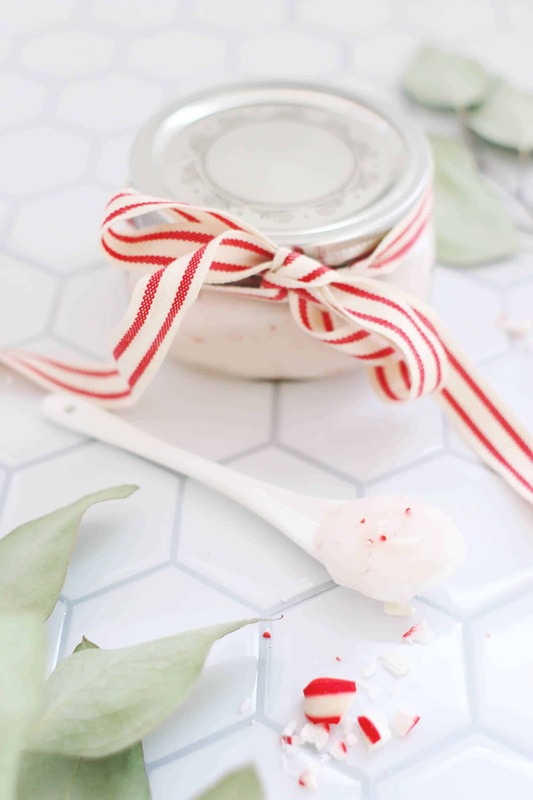 I love a good sugar scrub and it makes such a great gift for friends or coworkers. 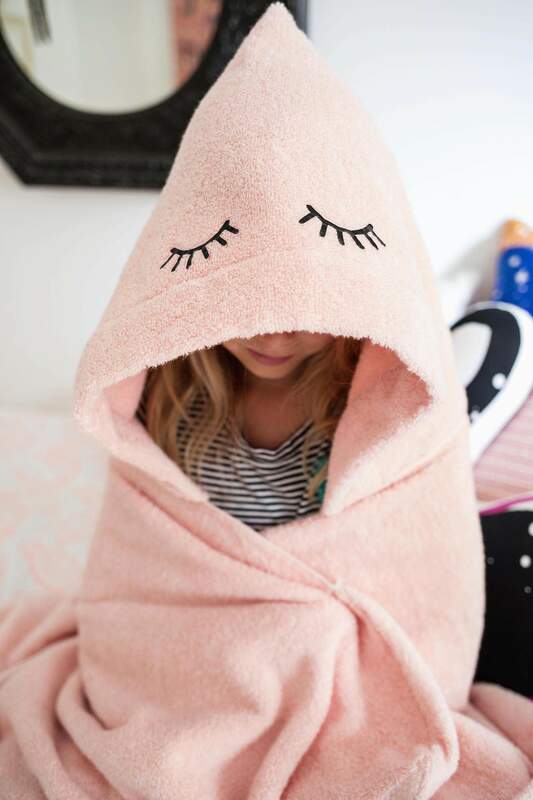 Bonus points that this doubles as a fun DIY project you can do with kiddos too. 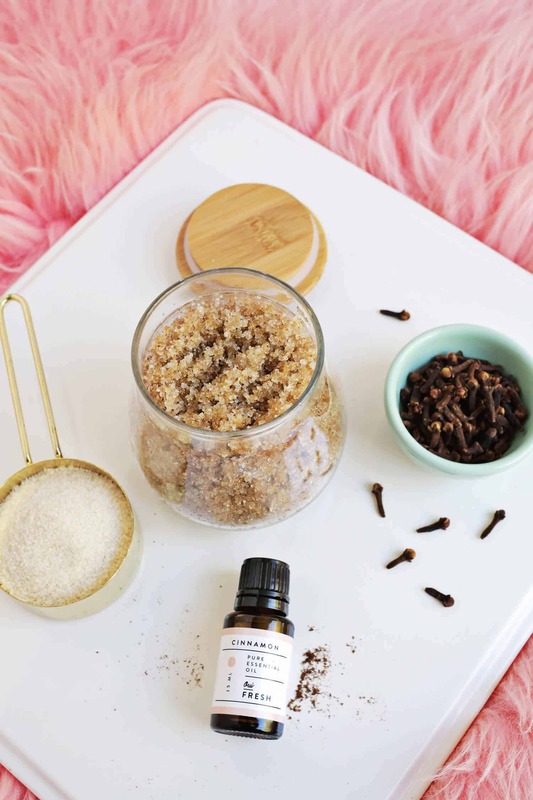 This Cinnamon Spice Sugar Scrub seems very seasonally appropriate. Let’s get real, there are probably plenty of folks on your list who are getting gift cards this year. Here are five creative ways to wrap gift cards. You’re welcome. Know any coffee or tea lovers? Then you’ll love this tutorial to make dishwasher and food safe personalized mugs. A cute DIY glitter sweater can be a really fun gift for a friend. 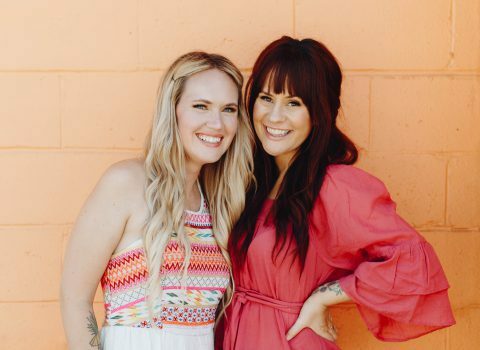 You can use the sea shell design from this post or create your own design (add their name, something festive like stars, etc.). 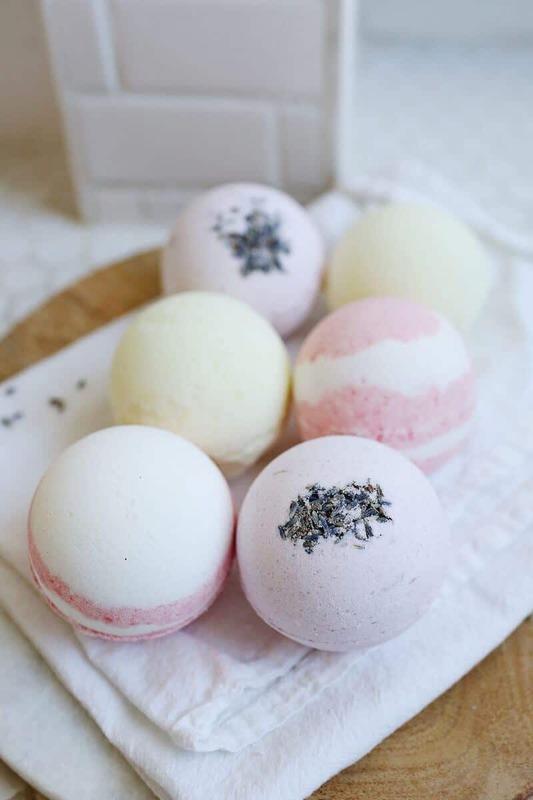 You can’t go wrong with homemade bath bombs. 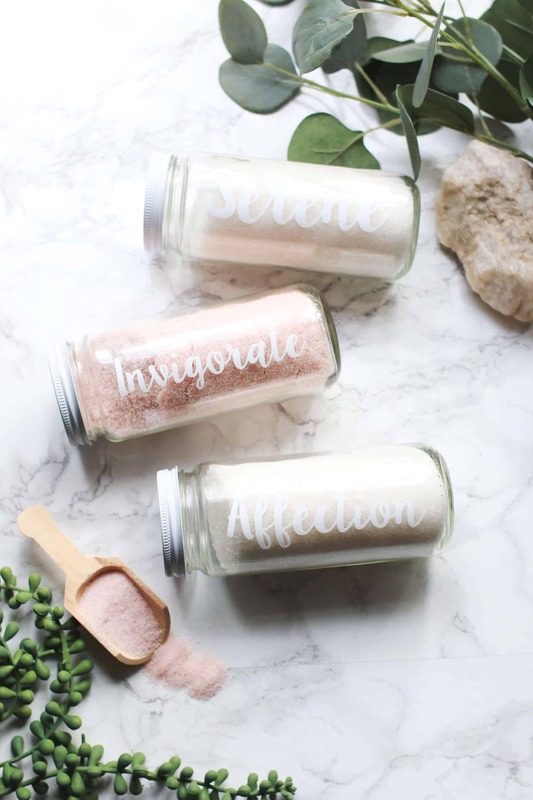 They are cute, smell amazing (to make and to use) and everyone on your list will love them. Another great project for coffee or tea lovers. 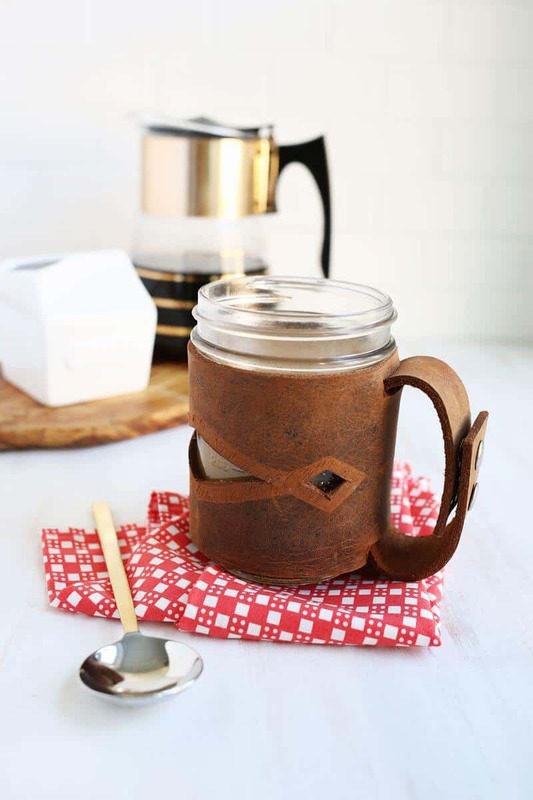 Make your loved one a DIY leather mason jar sleeve. 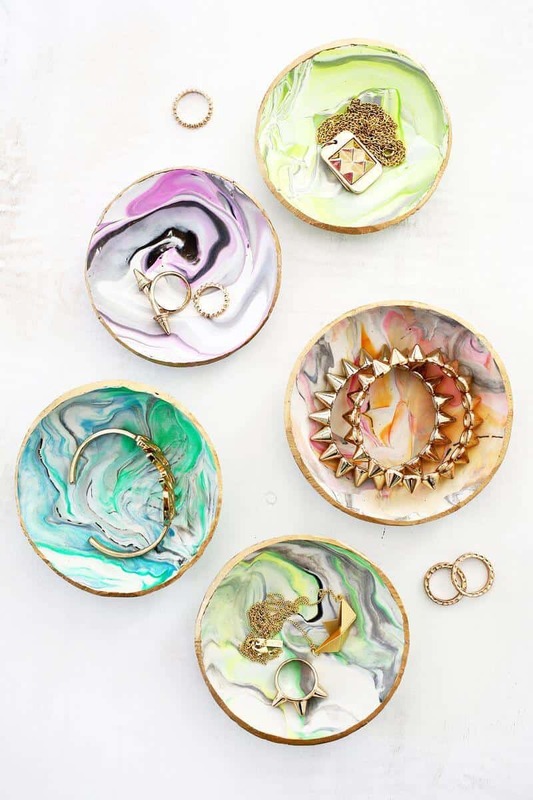 For all your gal pals who have tons of rings and bracelets to keep track of, why not make them a DIY marbled clay ring dish in their favorite colors? 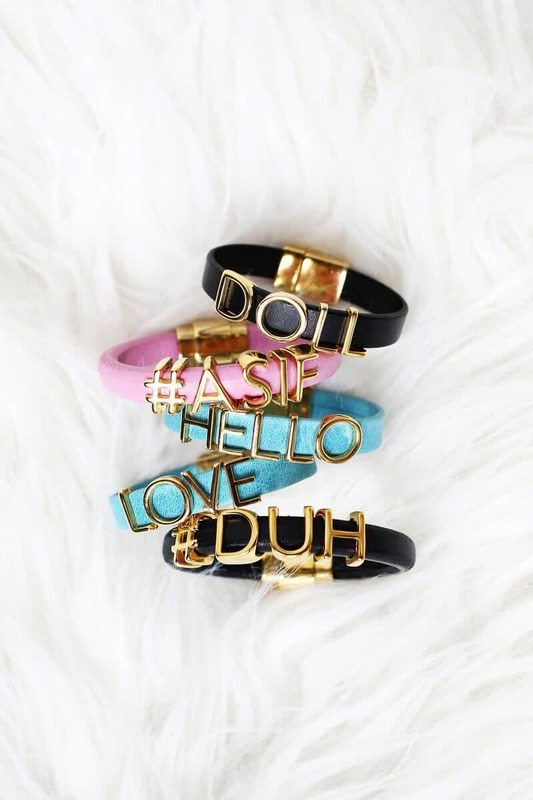 I LOVE these DIY personalized phrase bracelets! This would be another good one for a new mom or newlywed, but I think just an encouraging phrase would go a long way too. Or a funny movie quote if you just want to make them smile. Ha! Did you know that it’s actually pretty easy to transfer a photo to fabric such as canvas or cotton? 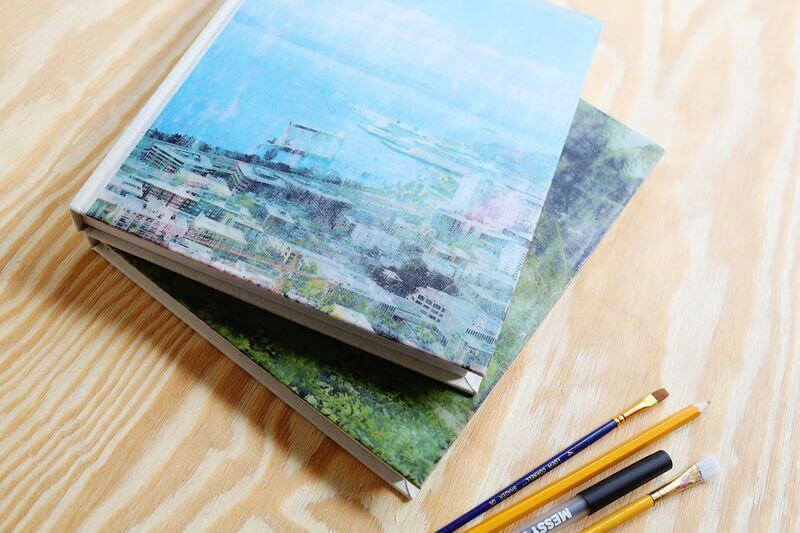 You could totally make your loved ones a DIY photo transfer journal this holiday season. 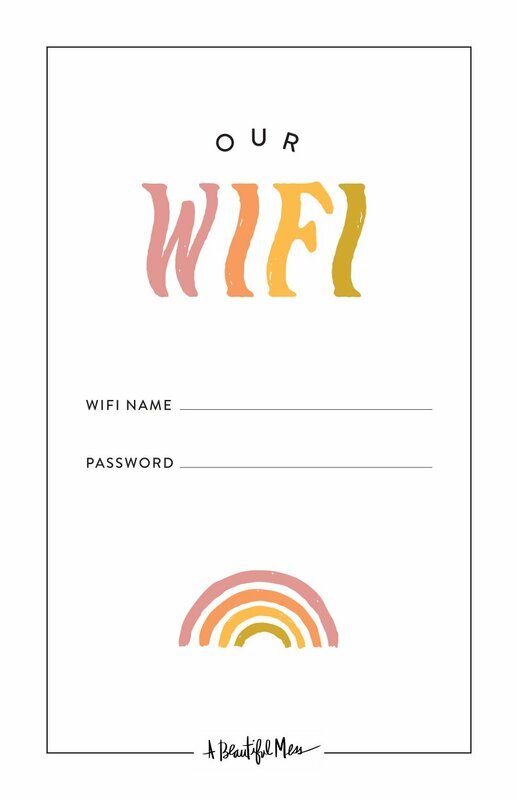 It would make a cute housewarming gift, guest book, or just notebook. 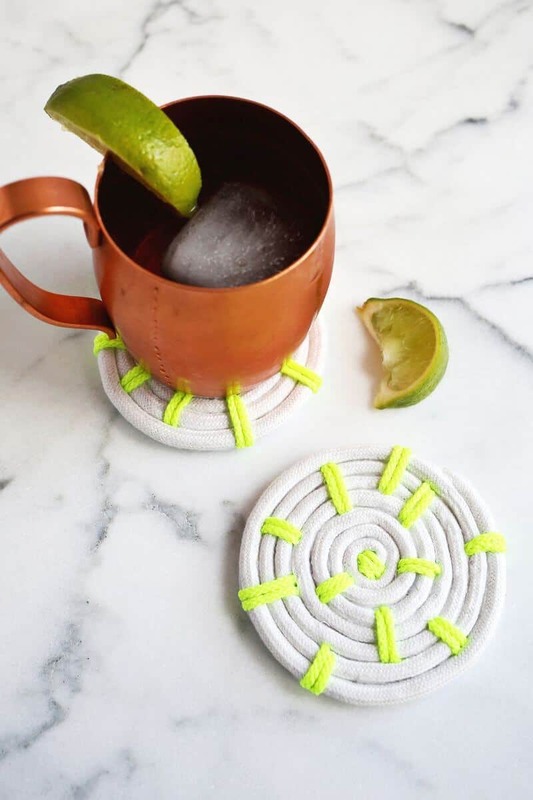 Customize this DIY rope coaster tutorial in any color! 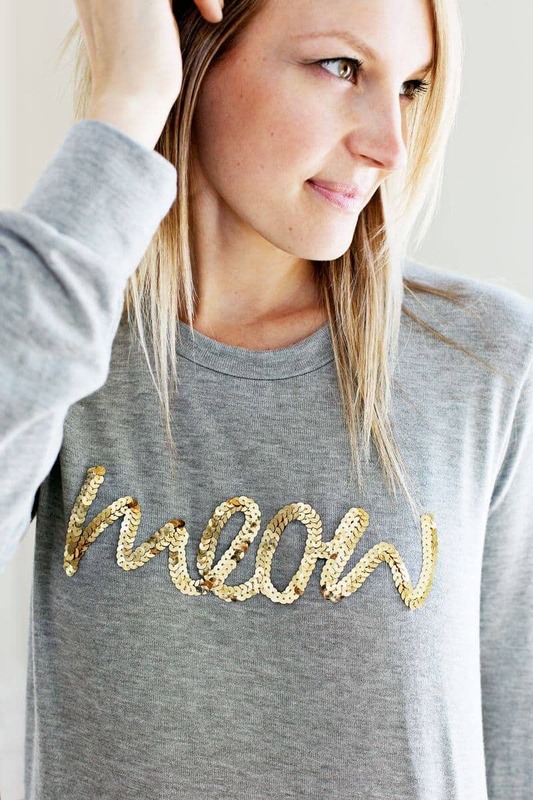 Add any phrase you like to this DIY sequin sweatshirt project. We love the “meow” for all your favorite cat ladies, but you could also add a name or any phrase your loved one might enjoy. 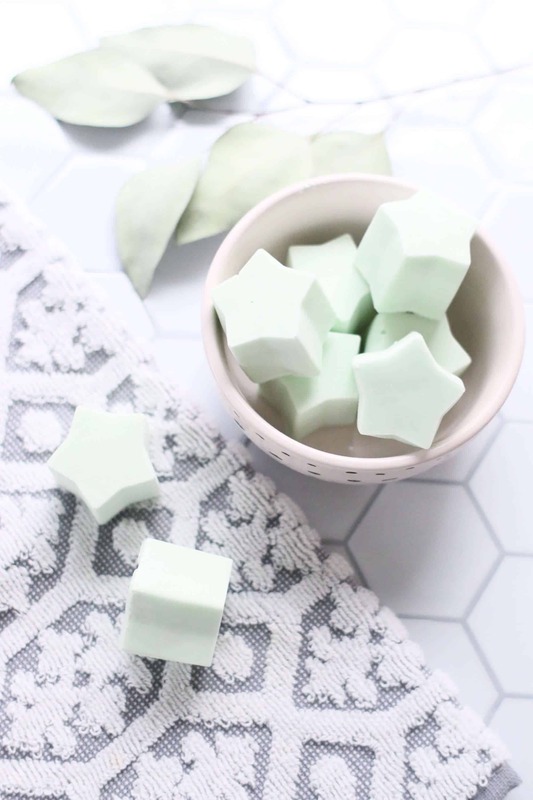 Peppermint and Eucalyptus shower melts can transform anyone’s bathroom into their own personal spa. 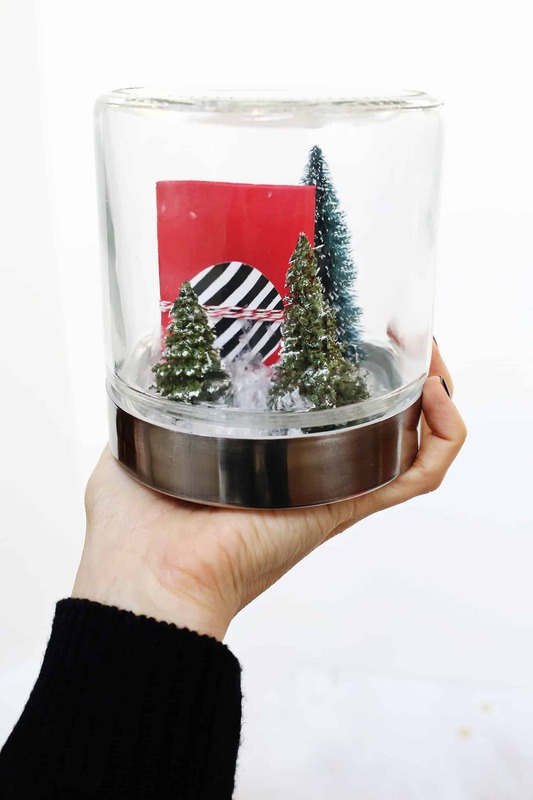 Make these little guys and gift them in a cute jar! 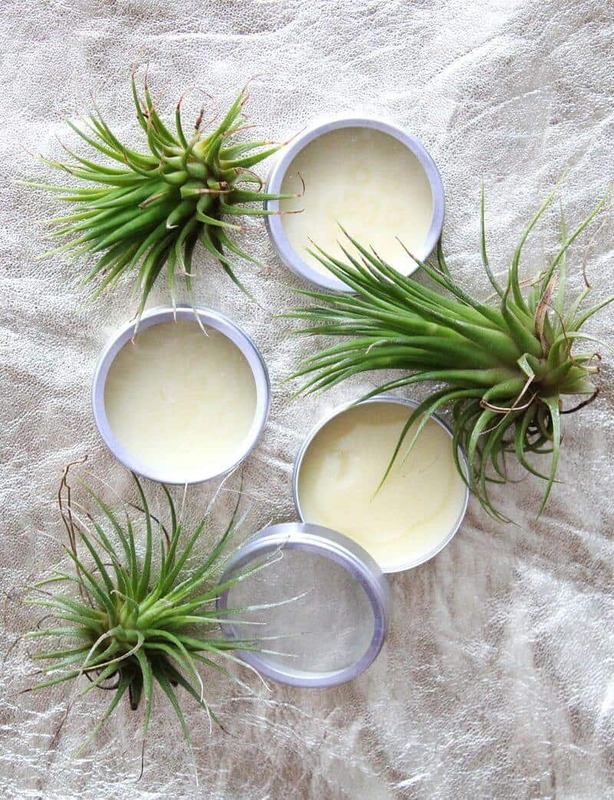 Create your own solid perfume set. 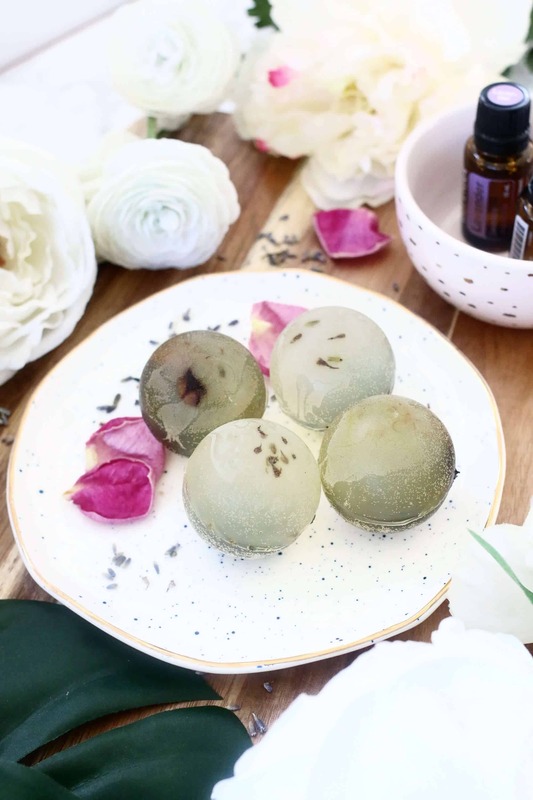 You can make these with any scents and even any object (see the post for how to add it to a locket). 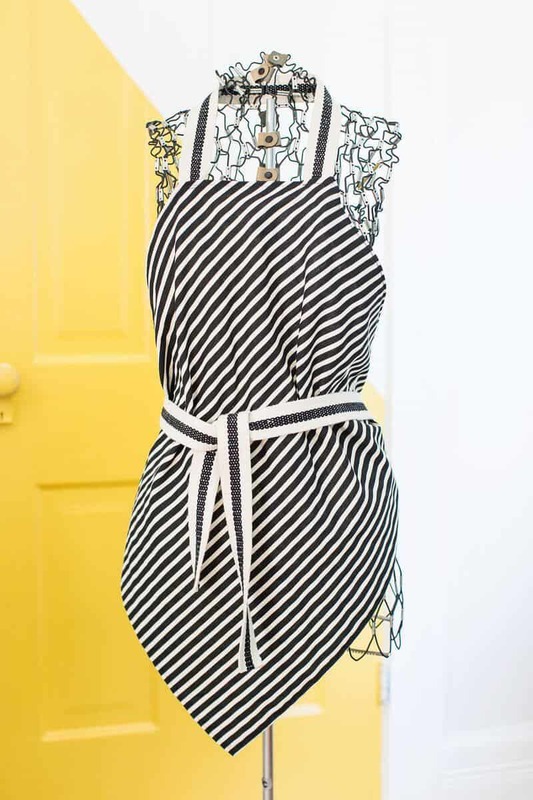 And, here are two tutorials for making an easy square apron—one is a no-sew option! 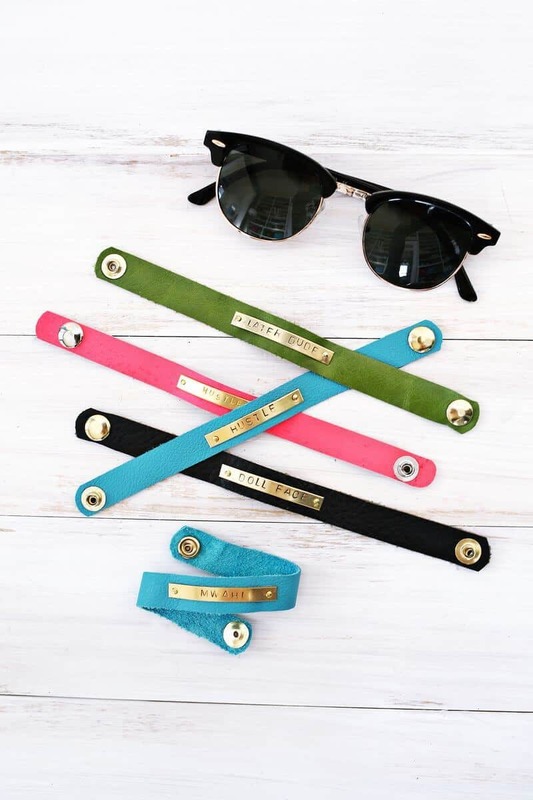 Here’s a cute one: DIY stamped leather bracelets. 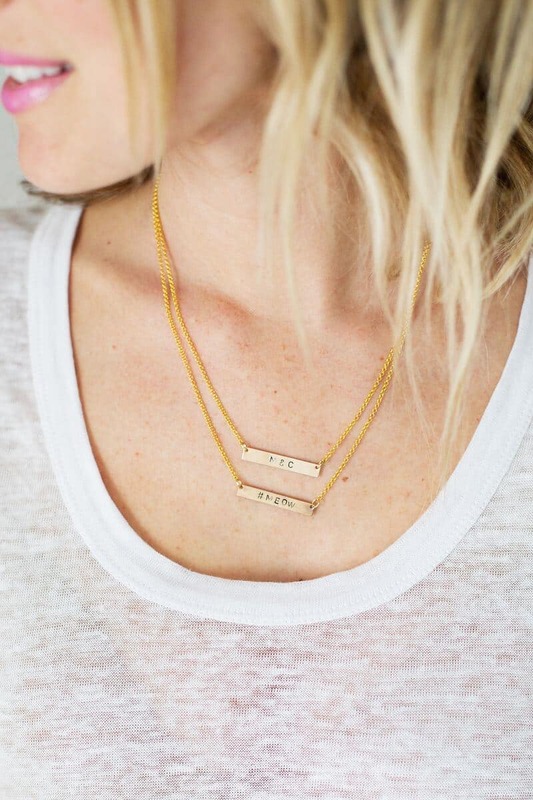 Make a matching set for your BFF. 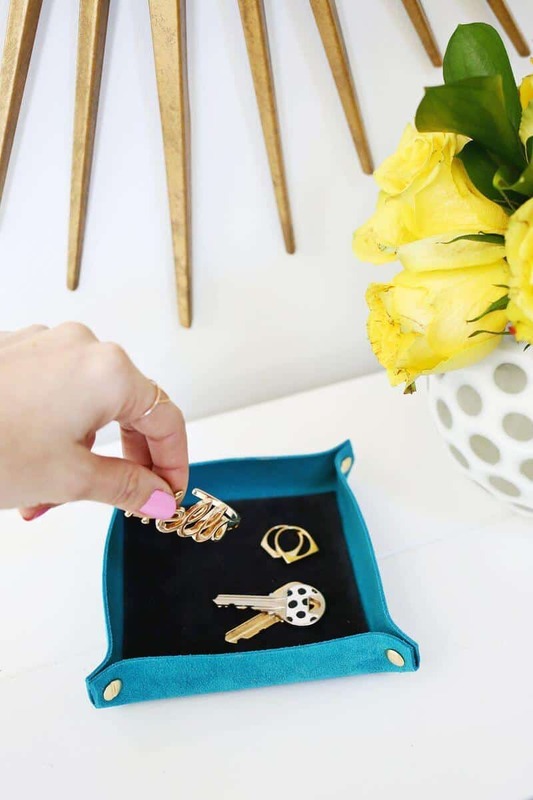 Love this simple tutorial for a suede color blocked catchall. You could make a smaller version for bedside objects, like rings; or a larger version to go near the front door for things like keys or pocket change. Anyone on your list have a sweet tooth? 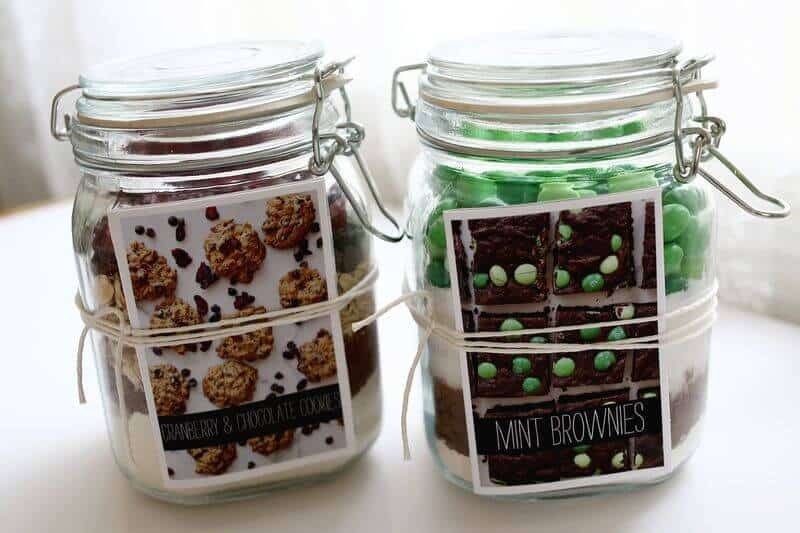 Make them some easy homemade cookies in a jar (plus two more easy DIY gift ideas in that post). I love when family members gift me updated photos of the family. Here’s five ideas for updating a plain (or even thrifted) photo frame, in case you plan to do the same. So creamy and luxurious! 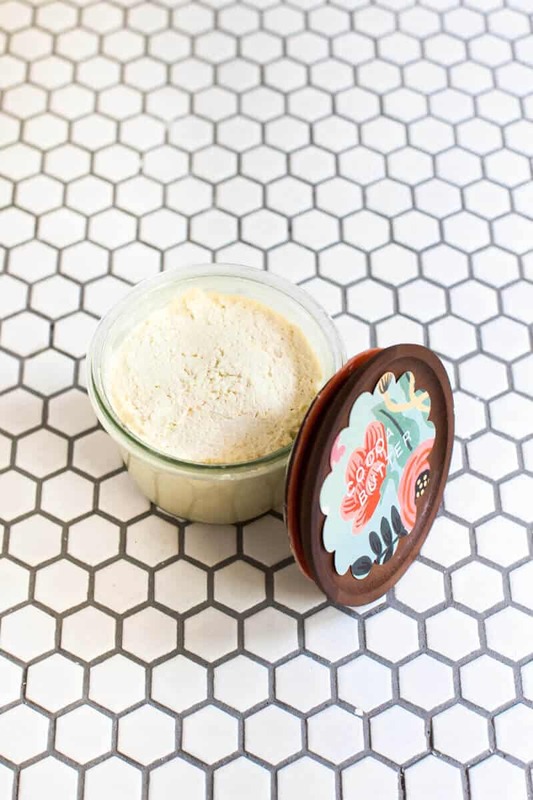 Once you make this homemade whipped cocoa body butter, you won’t ever want to give it away. 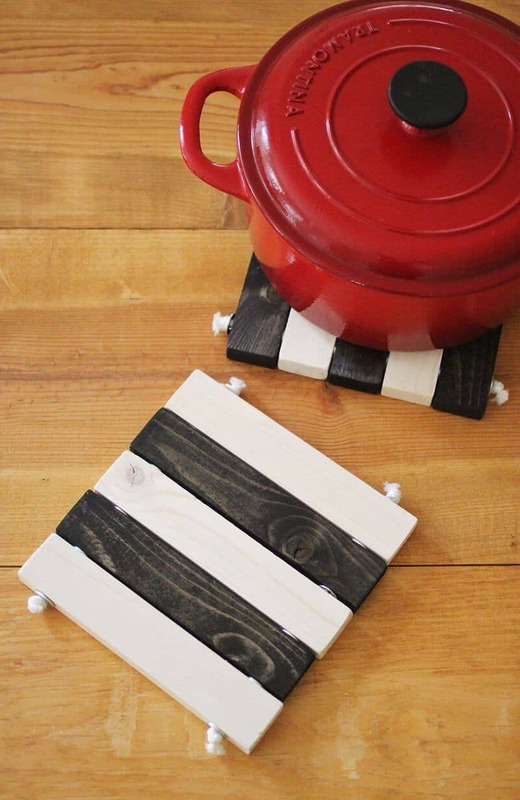 Simple and totally useful—make these DIY Wooden Trivets. 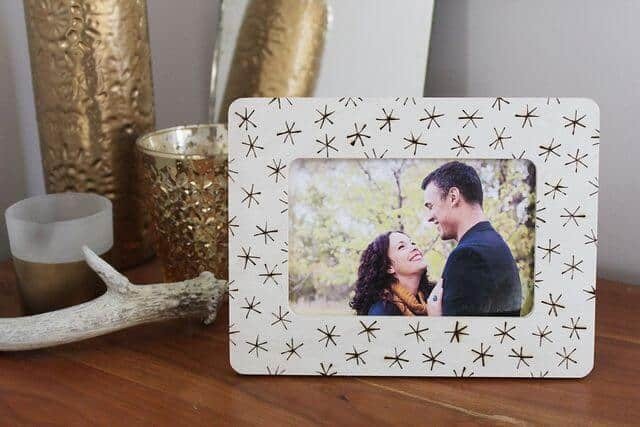 Another great one for all you photo gifters out there—make a wood burned photo frame. My gifts are finished, but I’ve been really good this year so I’m planning to make something for myself next week. I’m looking at the trivets and thinking “tabletop”. We’ll see. I can’t believe I missed so many great projects. Have a happy holiday Emma! This is brilliant, there is always one whom I want to give a spontaneous gift! Thanks for the list! Here is another idea for a DIY gift which involves making a tealight candle holder from recycled pallets and scrap leather. https://blog.leathersmithdesigns.com/tealight-candle-holders-leather-project/ Feel free to add it to your ideas if you like.